A 21-Day, audio-led, self-directed course. 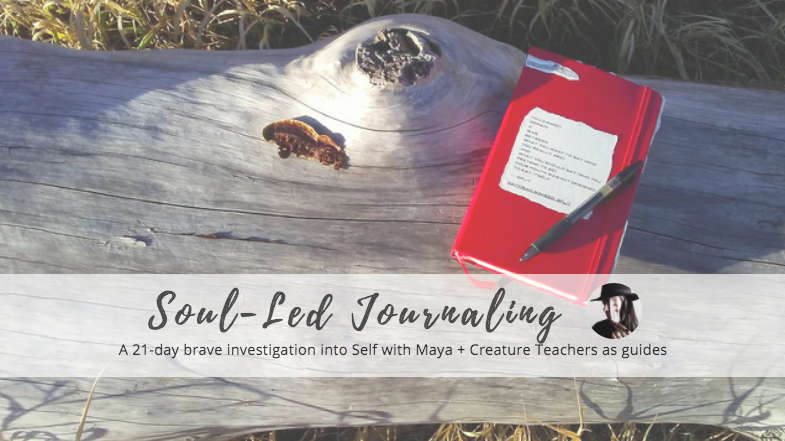 For a brave investigative look at Self, and your relationship to past events and feelings, with me, Maya, and wise creature teachers, as guides. Put together for you with Big Love, in an easy-to-use, 30-page Guidebook (PDF). To be used at your own pace. While shadow work is not included in this 21-day journey, this course is the perfect introduction to me and the tools that I still practice my own version of mindfulness with, every day. Tools learned through therapy that helped me save my life. This Course & Guidebook would also make a great project to investigate with your older child, or teenager, if they are open. Or with your partner or close friend.